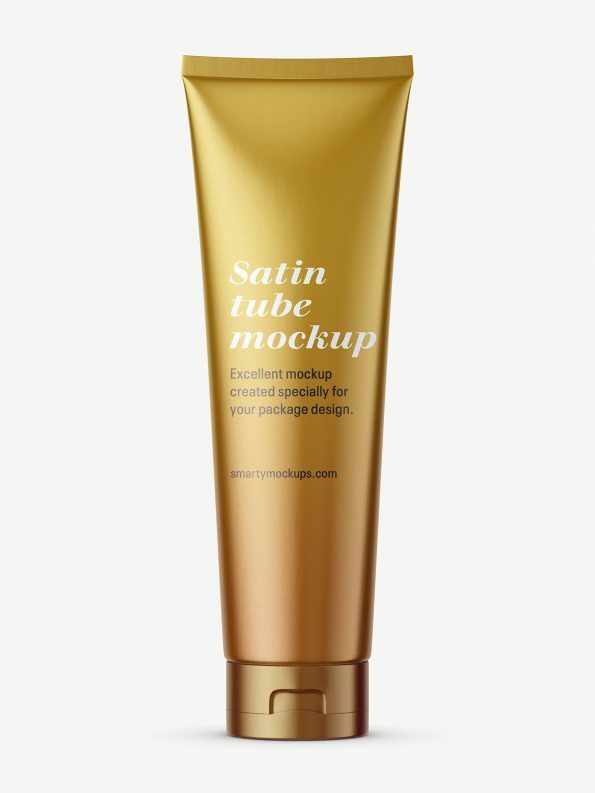 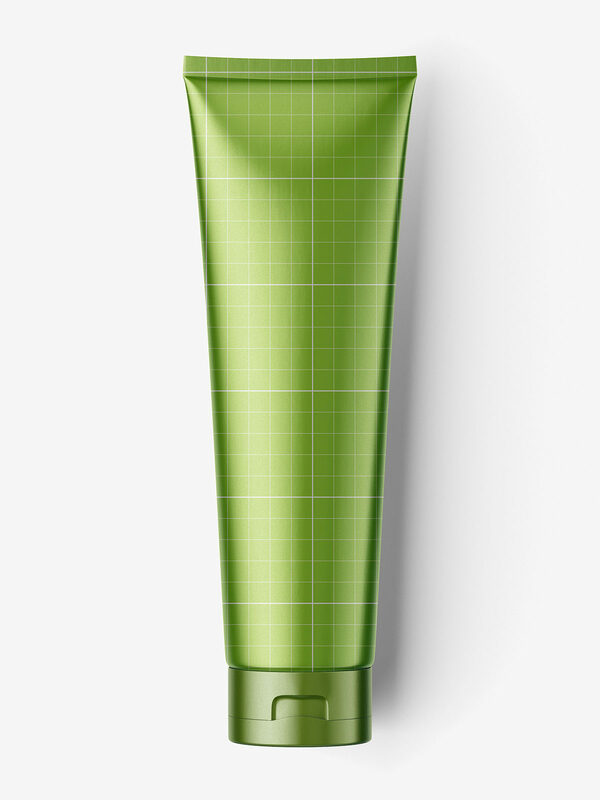 Metallic or satin cosmetic tube mockup. Mockup is prepared with two coatings: metallic and paper white. Cap is only in metallic version. 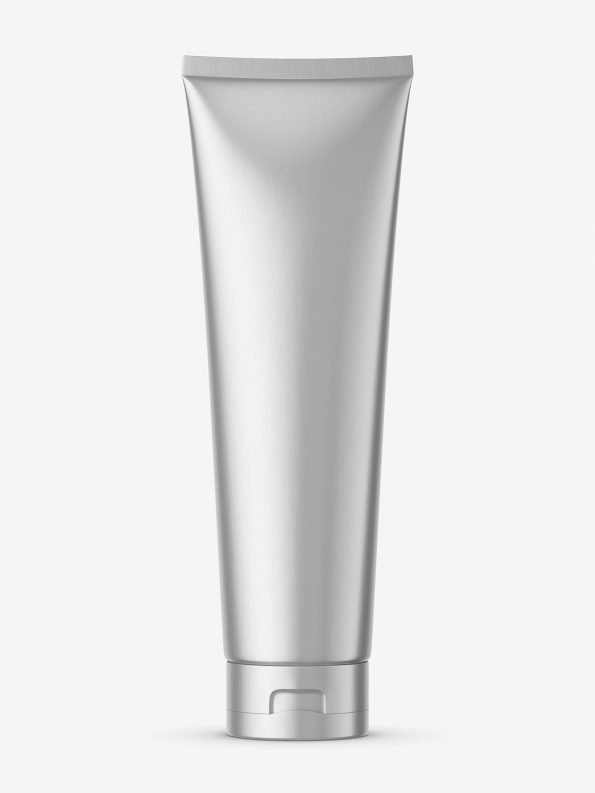 Two shadow versions available: as for standing tube and laying.